Within dentistry there are several specialties to address the needs of individual patients. A periodontist specializes in diseases and degeneration of the gums. Periodontist require special training after completing dental school. Typically, they continue training for an additional two to five years in their chosen specialty. Periodontal disease is one of the major reasons for tooth loss. As symptoms of the disease develop, a dentist may refer patients to a periodontist for special treatment. These specialists are generally used for the most severe cases of gum disease as they are able to employ a variety of surgical and non-surgical to treat inflammation, infection and degeneration. Periodontist are also able to perform a variety of cosmetic procedures to improve appearance and restore damaged areas. 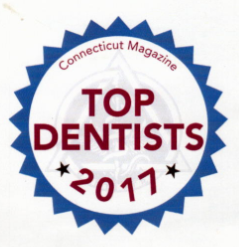 New Haven and Branford Periodontist in Connecticut, Dr. John Parnoff is dedicated to Periodontics such as Periodontal Disease Diagnosis and Treatment, Bone Grafts, Crown Lengthening, Dental Implants and more.